Yash 101 : Elite commercial spaces with modern-day features for a positive working environment and guaranteed profits! 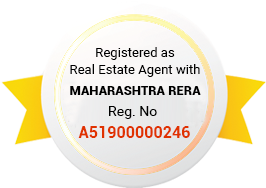 Vilas Javdekars is famous developer in Pune launch many projects in different location of Pune like Baner, Wagholi, Hinjewadi, Wakad. Baner is a suburb of Pune. Baner is best location for commercial & residential purpose. Vilas Javdekar Yash 101 is upcoming commercial spaces in Baner Pune going to launch by Vilas Javedekars. Yash 101 Baner space sanctioned for multiple uses like Sports Gear Shops, Clinics and Dispensaries, Small Cafe, Grocery Shops, Electronic Cyber Library, Nursery, Primary and Secondary Schools, Health Clubs & ATM etc. Pune is a city that is known for its education hubs, low air pollution, social infrastructure, wide open greens and happy people. Along with localities, you will find people from different cities and countries in Pune today. A rise in Pune’s IT sector has doubled the development rate in many suburbs. Baner is a popular suburb in Pune that is the new ‘talk of the town’. In the last 10 years, Baner has gone through massive development and has a lot to offer. With a good network of roads, transportation facilities and convenient access to the Pune-Mumbai Expressway, Baner offers fast and smooth connectivity to a number of locations in Pune. As this suburb neighbours popular IT hubs today, a number of people are choosing Baner as a preferred place to reside. To add to it, Baner offers a social infrastructure that is truly impressive. From schools and colleges, to malls, shopping centres, hospitals, cafes, restaurants, cinemas and more, there is nothing that you cannot find in Baner today. Now is a good time to invest in Baner as the property prices are growing at a steady rate and this suburb has a bright future ahead. May it be commercial or residential spaces, higher property value and good profits is something you can definitely expect as a number of people are shifting to Baner daily. Vilas Javdekar Yash 101 Pune is an incredible commercial project at Baner, Pune by Vilas Javdekar Developers that offers impeccable commercial spaces that are designed for maximum attraction! Spread over vast acres of land, this development offers state-of-the-art commercial spaces to meet all your business requirements. Crafted to please, this commercial development offers a number of commercial spaces for businesses, corporates, retail brands, restaurants and more. If you are looking out for the ideal commercial space that will elevate your profits, Vilas Javdekars Yash 101 is your ultimate destination! With a wide range of options available, you can pick the commercial space that meets your needs and requirements perfectly. Along with world-class commercial spaces, Yash 101 Baner also offers vibrant amenities for you and your staff to unwind, relax and ultimately offer better productivity at the end of the day. From a hi-tech gymnasium to a cafe, ATM, convenience store, swift elevators and well-trained security for total safety, this commercial development has everything under one roof! The commercial spaces at this development are high in class, but low in cost. The Yash 101 price is affordable and definitely worth the salient features that it has to offer. There are multiple payment plans to choose from along with commercial loan facilities through associated banks, customer support and more for a hassle-free buy. Book your modern-day commercial space today and experience a new world of profits that will always keep you smiling!